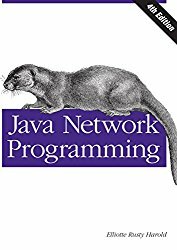 This practical guide provides a complete introduction to developing network programs with Java. You’ll learn how to use Java’s network class library to quickly and easily accomplish common networking tasks such as writing multithreaded servers, encrypting communications, broadcasting to the local network, and posting data to server-side programs.Author Elliotte Rusty Harold provides complete working programs to illustrate the methods and classes he describes. This thoroughly revised fourth edition covers REST, SPDY, asynchronous I/O, and many other recent technologies.